Explore the best water heaters from gas, electric, tank-type, and tankless models for domestic hot water heating. See the features and specs that are making these top heaters to be the preferable choice, providing great savings, reliability, and longevity. The selected models come with the highest energy factor, commercial-grade components, and the longest warranty. This review covers the most reputable manufacturers of water heaters such as AO Smith, Rheem, Bradford White, Rinnai, Noritz, Takagi, Bosch and other, and it is not about who makes the best water heaters and is the tankless better than the tank-type. Selection of the best water heaters was made by comparing the model's features, specs, checking out the user and expert reviews and top sellers. A review of the best condensing water heaters covers models with the tankless technology only. These come with the state-of-the-art technology, commercial-grade features and ultra-high energy factor, which guarantees the highest savings and better environmental protection. The best tankless and condensing models come with the two heat exchangers, where the condensing element is made of stainless steel, for better protection against corrosion. This is what allows them to pull much of the heat from the exhaust gases and use it to preheat the incoming water. For the faster hot water delivery, some of them can work in the recirculation mode. As they use the most innovative design, they are able to connect with the smartphones, allowing better remote monitoring and control, including voice activation. Check them out here. 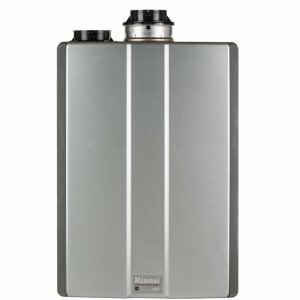 An article about the best tankless water heaters cover only the non-condensing models. These models are also high efficient where the energy factor goes between 0.8 and 0.9, have one heat exchanger made from copper, use some of the smart features, also advanced diagnostics, flexible venting system, scale protection, many safety features, long warranty and more. They usually come with the two venting options (concentric or dual) making the installation more versatile, also utilizing natural gas or propane, again giving more options. 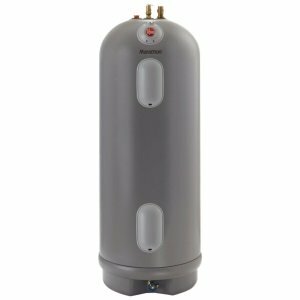 The best tank-type water heaters come with the stainless steel or plastic storage tank allowing lifetime warranty and long life. The best gas models are condensing and equipped with the helical heat exchanger submersed in water, while the electric has stainless steel or titanium elements, and both with one powered or two commercial grade anodes, self-cleaning system, diagnostics... Those models come with the high recovery rate and first-hour rating, making them ideal for high-demanding applications and large houses. Energy efficiency. To see how much energy is transferred from the heat to water, look at the Energy efficiency or Energy Factor (EF). Gas condensing models have the efficiency of over 90% or the energy factor up to 0.98. Higher efficiency means more savings and less wasted energy. Specs. Look for the high first-hour delivery and recovery rate on the tank-type models or high water flow rate in tankless. Another important factor to consider is how the gas burner is powerful (in BTU). Features. Eco burner, brass drain valve, hot surface igniter, modulation, diagnostics, self-cleaning are some of the features to go after. Smart. Smart features allow Wi-Fi connectivity, voice activation, remote control and diagnostics, and more. Multi-link capability. This is what allows users to connect more water heaters into one system so it can provide more power and hot water. Venting options. Power venting is the most preferable option due to its flexibility and installation options. Quality. Look for the water heaters equipped with the durable, heat and stress resistant components. In some cases, for example, stainless steel is better than copper. Lifespan. 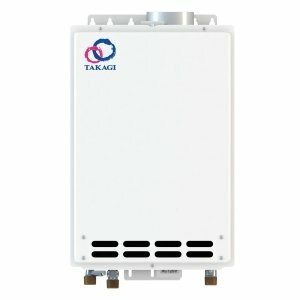 Tankless, for example, has over 20 years of lifespan. Stainless steel construction ensures durability. Service. It is recommended to buy a water heater from the proven, reliable and well-established manufacturer. Such manufacturers provide great customer service, technical support, and quite extensive service networks and warehouses with the available parts. Warranty. The best models have the lifetime warranty on conventional tank-type (most often is 12) and 15-years on tankless. Choose the heater with the longest warranty. A popular type, well-known technology, a good service network. One of the indicators that will show the best water heaters, either gas, electric, tank or tankless is surely the price. The most expensive models come with state-of-the-art technology, great features, long-lasting elements, modern look and have the most efficient operation. The fact that the domestic water heating is the second largest energy expense in a house is more than enough to consider buying the best water heater. Those innovative models save water, energy, and money and due to its robust and durable construction, it guarantees a long operation, so you don’t have to buy a new one any time soon.